The Kaleidos app from BIG gives you an easy access to information about 5,000 most common hazardous substances and what measures to take in case of an emergency. With this app, first responders will be able to make quick and informed decisions, thus saving lives. The database is constantly kept up-to-date, according to new legislations and changing circumstances. It is locally stored on the device and can be accessed through a range of search parameters. 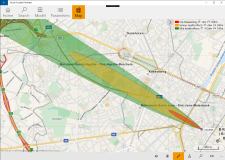 The app is adapted to the needs of first responders with strong visualization of the hazards and the measures to take. The information is structured in eight sections and adapted for use both on tablets and smartphones. 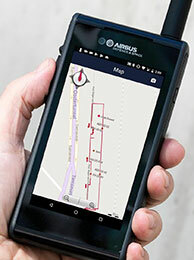 Optimized overview for first-responders designed in direct cooperation with fire departments. Fast and reliable results with an embedded database. Online updating allows for quick follow-up on legislation or other data changes.